Mobile home inspection — Mobile homes, or manufactured homes, have unique characteristics that make them different from traditional buildings. Mobile home construction is required to adhere to specific national standards to ensure each home is safely built. 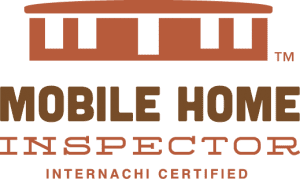 Mobile home inspection requires special knowledge to determine if these standards have been met and additional training to accurately assess the special components within the mobile home. At Northbank Home Inspection, we offer the highest-quality mobile home inspection for the Vancouver, WA area designed to help you make smart and safe decisions when purchasing a mobile or manufactured home. HUD tags and data plates — Every manufactured home is required to have an HUD tag and data plate. These help identify the serial number, unit manufacturer, year built, and the HUD construction standards, which can vary depending on the climate — think wind loads and roof (snow) loads. The HUD tag should be attached on either end of the unit, and if it’s a double or triple wide, on every transportable section. The data plate can be found in number of areas, but should not be specially hidden. The tag and data plate are required for the home to be legally occupied or sold. Structure — Mobile homes have a floor structured connect by large steel I-beams. These can be damaged in transit or significantly rust over time. 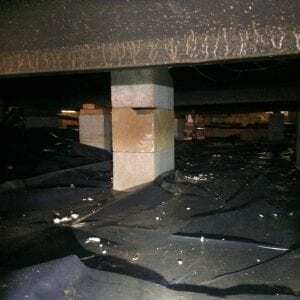 It’s important for a mobile home inspector to inspect these beams for any signs of lacking structural integrity. Adequate perimeter blocking should also be installed underneath significant wall openings, like sliding doors. Foundation — This is probably the most significant area where manufactured homes differ from traditional housing and what makes them “mobile”. These homes are typically built upon pier blocks. The structure sits on these blocks, so it’s important to ensure they are not cracked or damaged, that all are in contact with the frame, and that they have the correct orientation. Additionally, the home should be strapped to footings in the ground. It’s important that these straps appropriately tied to the structured and adequately spaced throughout the structure. Any loose or corroded straps should be repaired or replaced by a qualified contractor. We also partner with engineers to help you obtain a manufactured home foundation certification if you need it. Skirting — The skirting wraps around the home and encloses the crawlspace. 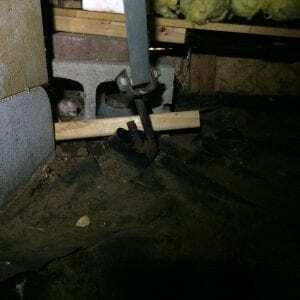 A mobile home inspection should identify any loose or damaged areas, which can allow access to pests and other animals that can cause damage. The skirting should also allow for adequate ventilation. Additions — Manufactured homes are designed and built to only support their own weight. Additions, such as car ports, should be free standing and not relying on the home’s structure for support. It’s also important that additions have proper flashing installed where they come into contact with the home.